The Dalmore have released a limited edition bottling “The Dalmore Distillery Exclusive Vintage 1997” which will be sold exclusively at their distillery. The current custodian, Master Distiller Richard Paterson, has been at the helm of the distillery for almost 50 years and he is the creative force behind some of the most iconic and innovative releases in the world. Only 450 bottles have been made available, each individually numbered, priced at £200. 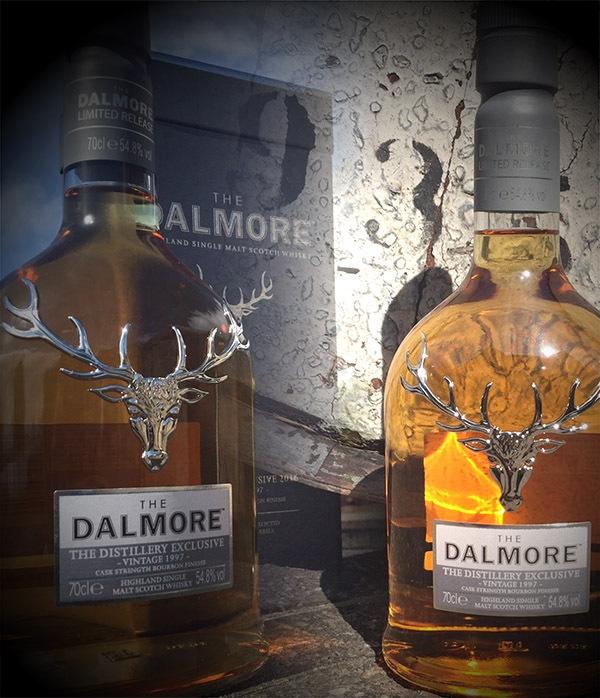 The Dalmore Distillery Exclusive Vintage 1997 (58.4% ABV) is available from The Dalmore Distillery at Alness. I had a right old job making a decent picture out of the two I could find, but i think it turned out ok.